Tonight (24 February 2016), I kegged my latest orange wheat ale. 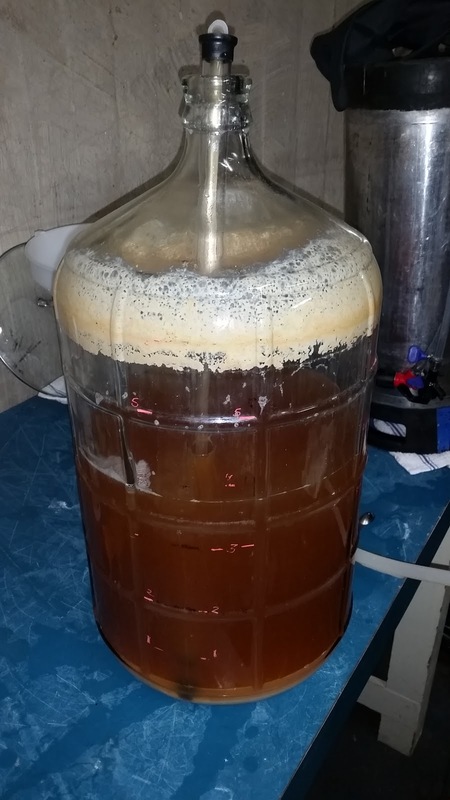 It had dropped from 1.043 to 1.010 gravity, for 4.3% abv. I added the orange extract (I had filtered out the peel pieces, leaving just the liquid), and it has added a great aroma and flavor. Now it’s carbonating, and should be ready to tap in a few days! This entry was posted in kegging, wheat beer and tagged OSWA. Bookmark the permalink.